Lynnette Zelezny was appointed to serve as the fifth president of California State University, Bakersfield, effective July 1, 2018, and is the first woman to serve in the role. President Zelezny came to CSU Bakersfield after serving for 30 years at Fresno State. She served as the provost and vice president of academic affairs for Fresno State – the University’s chief academic officer – from 2014 until her appointment as President of CSU Bakersfield. She joined Fresno State in 1988 and served in a variety of roles including associate provost, dean and associate vice president for the division of Continuing and Global Education, associate dean for the Craig School of Business and chair of the psychology department, where she was also a lecturer, assistant professor, associate professor and professor. Dr. Zelezny has served as a visiting professor at the University of Stockholm in Sweden, an American Council of Education Fellow at Towson University in Maryland, and as a Fulbright Scholar in Germany. She was a nominee for the U.S. Professor of the Year awarded by the Carnegie Foundation for the Advancement of Teaching and the Council for Advancement and Support of Education. An applied social psychologist, Dr. Zelezny has published research related to the environment, health, leadership and student success for underrepresented students. 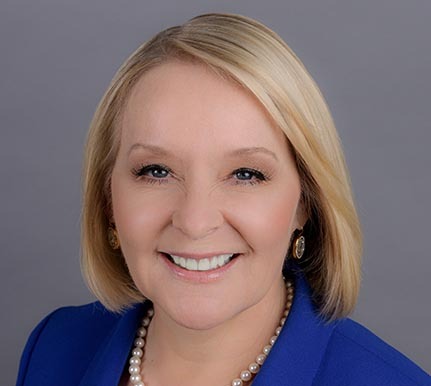 A product of the CSU, Zelezny earned bachelor’s and master’s degrees in psychology from Humboldt State University, a Ph.D. in applied social psychology from Claremont Graduate University and an M.B.A. with distinction from the Craig School of Business at Fresno State. She has also earned professional certificates in management from Harvard University and in executive leadership from the Wharton School of Business at the University of Pennsylvania.